What if I told you that you can effectively deal with anxiety and panic attacks in just 30 seconds? Well, you can. A brain imaging study by UCLA psychologist, Matthew Lieberman, revealed why naming our feelings decreases our anxiety. Lieberman calls the process “affect labeling”. What this suggests is that you start thinking in words about your emotions. The research indicated that when people name their feelings, the effect of the emotion becomes less. Simply naming the emotion dulls its effect, making it easier to control the way you react to the situation. Anxiety therapists also use this technique when treating patients. Using brain imaging, Lieberman and his team discovered the scientific basis of this concept. People in an MRI machine were shown images of strong emotions. Consequently, their brain signals showed greater activity in the amygdala. This is the region of the brain which is involved in creating your emotions. When asked to name the emotion, the activity in the amygdala decreased. They also showed greater activity in a region known as the right ventrolateral prefrontal cortex which is responsible for mindfulness and discrimination. It seems that labeling an emotion transforms it into an object you can inspect, thereby decreasing its intensity. 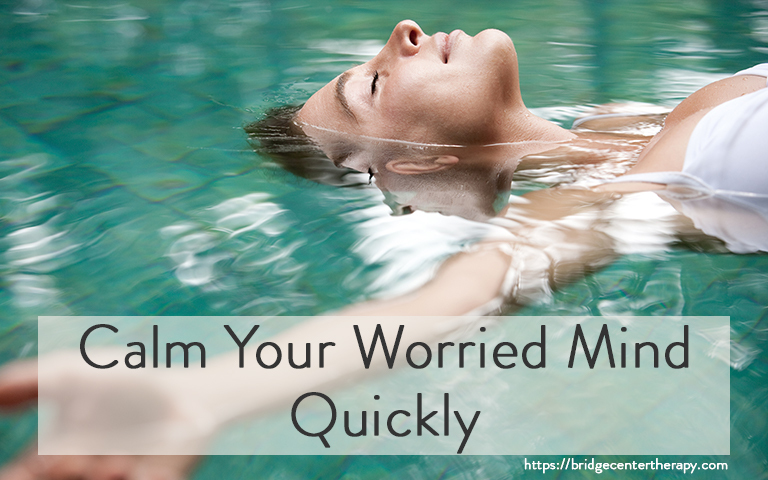 “You acknowledge that you’re feeling anxiety, but you don’t get stressed about it. 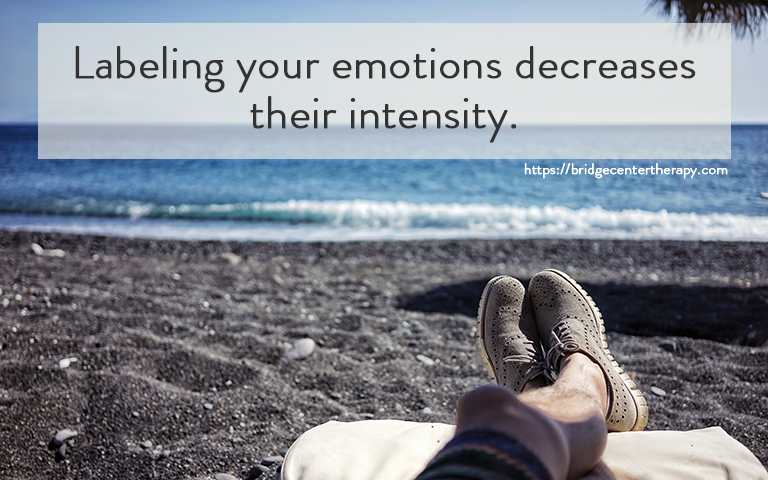 The theory is that our basic emotional responses are fine, but we get into trouble mostly because of how we get wrapped up in those emotional responses and make things worse. Acceptance commitment therapy, in contrast, encourages people to identify an emotion—to say, for example, “I’m angry now”—without indulging or justifying the emotion,” said Lieberman. Anxiety has many faces. It’s one thing to be nervous (adrenaline can even help you in stressful situations). But if you suffer sweat-inducing, heart-pounding anxiety — that is not proportionately appropriate — that makes enjoying life difficult. To overcome fear and anxiety you need to learn how your emotions work. 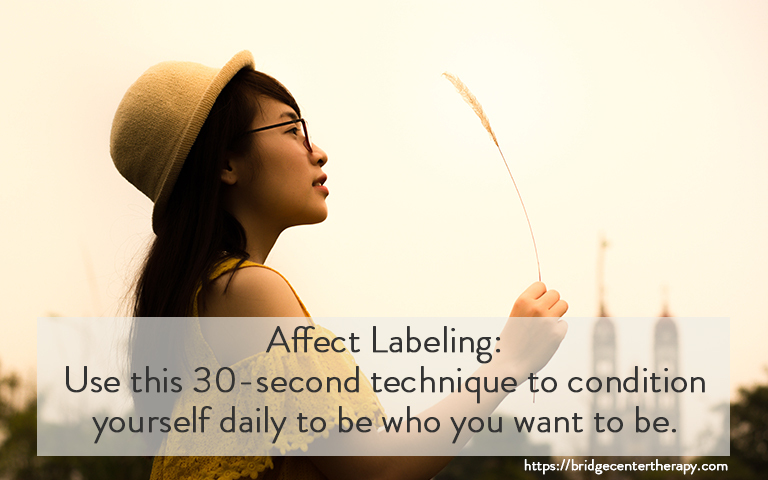 Use this 30-second technique to condition yourself daily to be who you want to be. Anxiety Therapy: Anxiety Keeping You Awake? It Might Be the Other Way Around.